Does an extra $300 buy you a much better camera? 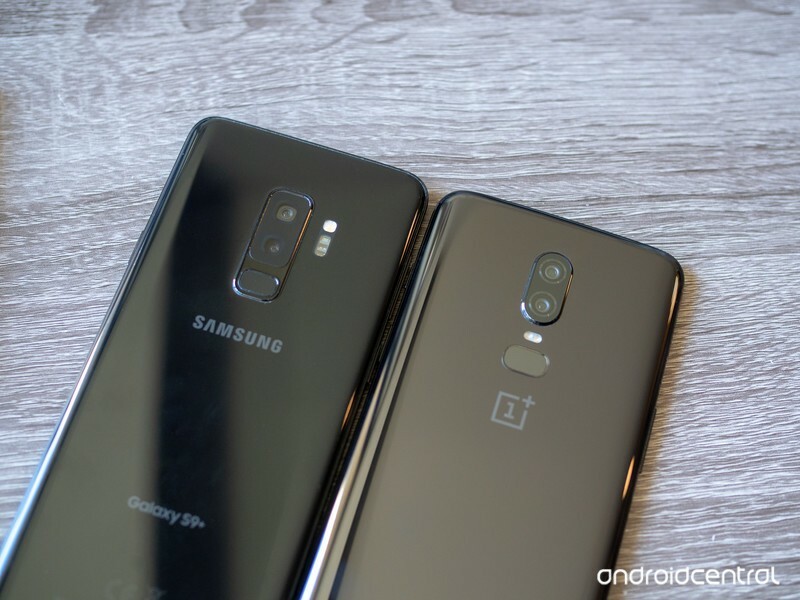 We’ve already compared the OnePlus 6 to the Galaxy S9+ in general, and found the OnePlus 6 to be a formidable opponent to Samsung’s latest despite a $300 difference in price. But with the history of OnePlus phones having mediocre cameras and Samsung phones having great cameras, it’s a good idea to hone in on photography in particular. OnePlus made a huge leap in camera quality from the OnePlus 5 to the OnePlus 6, but is it enough to also challenge one of the best cameras available today? That’s what we’re here to find out. Considering the aggressively mediocre camera offerings in previous OnePlus phones, I’ll admit I had pretty low expectations for this comparison — but after taking daylight shots, I was pleasantly surprised with how well the OnePlus 6 compared to the Galaxy S9+. Scrolling through my Google Photos library or seeing the images I share on Instagram, you wouldn’t be able to tell which shots were from the OnePlus 6 and which were the Galaxy S9+. Both produce images that are fundamentally sound and visually pleasing, with no consistent aberrations or issues that were repeatable from shot to shot. The Galaxy S9+ takes better daylight photos — but the difference isn’t dramatic. 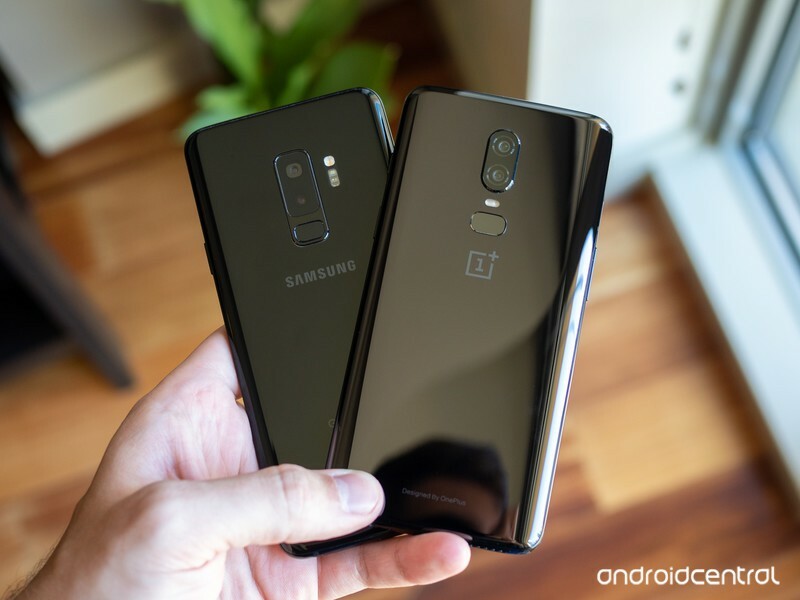 When you set them side-by-side, as I’ve done here, you start to notice some of the more subtle differences that illustrate where the OnePlus 6 is slightly inferior. Across the board, the Galaxy S9 takes brighter, more colorful shots that take advantage of HDR to make a bit more of an opinionated photo. The OnePlus 6 is a bit simpler, still with strong colors but sometimes not leveraging HDR to the point where it brings out the color and details across an entire scene of mixed lighting (the shot of the monorail tracks above is a great example). When zooming in, you’ll notice the Galaxy S9+ has sharper lines and crisper fine details, which may not be immediately perceptible when viewed normally but do contribute to an overall cleaner look. The Galaxy S9+ is just insanely sharp, even when you get in and pixel peep. The only knock you could put on the Galaxy S9+ in this comparison is that it still tends to overexpose sometimes, which can over-brighten images to the point where it’s distracting. The OnePlus 6 may not have the high brightness and colors across the board, but the upside is that it never over-brightens photos. The rest of the differences here really are subtle, but when you add them up I feel you still get better photos out of the Galaxy S9+ in daylight — the difference just isn’t dramatic, and that’s a great sign for the OnePlus 6. When comparing the OnePlus 6 to its predecessor, it was immediately clear that it made a huge stride in low-light photography. I would easily classify the OnePlus 6’s low-light performance as being above average (regardless of price), but that’s not enough to match the Galaxy S9+. The Galaxy S9+ is sharper and clearer across the board, and often brighter with better white balance as well. This applies to fully dark scenes, but also challenging indoor scenes with very dark areas in addition to lighter areas. The OnePlus 6 has come a long way, but it can’t match the best in the business. Unlike daylight photos where the differences were mostly in color and brightness, there’s a distinct difference in sharpness and details between these phones at night — zoom in a little on any of the photos and you’ll see why. The Galaxy S9+ is amazing at processing lines and flat surfaces to be incredibly sharp and smooth, sometimes to the point where they almost look unnatural. On the other hand, the OnePlus 6 just doesn’t process things very much, and you get a photo with soft or muddy details by comparison. Take a look at the photo of the flowers above — the OnePlus 6 shot is good, but it’s a little soft and doesn’t have sharp edges on the petals; the Galaxy S9+’s photo is so sharp you can actually see the individual fibers in the weave of the petals … because they’re fake flowers. You can’t even tell in the OnePlus 6 photo. This is another situation where you wouldn’t likely be unhappy with the OnePlus photos on their own, but in this case if you set the Galaxy S9+ examples right next to them you’d take the GS9+’s shots every time. Bottom line: Which one is best? The OnePlus 6 has broken the mold of having a camera that’s “good for the money” — as this comparison has shown, the camera is good without any caveats or qualifications. In situations with ample light, the OnePlus 6 takes consistently great photos with a little punch of color, good details, and adequate brightness. At night, it’s a massive step beyond the OnePlus 5 and worthy of praise considering its basic components and sub-flagship pricing. The OnePlus 6 deserves applause for what it can do for $529 — but the GS9+ is just better. But if we start looking at the marginal differences that move the camera from “good” to “great,” like when comparing to a truly great camera in the Galaxy S9+, you can see the OnePlus 6 isn’t quite there yet. In good lighting, the Galaxy S9+ produces colors that really pop and a dynamic range that is outstanding. At night, the Galaxy S9+ has the same level of sharpness, smooth surfaces and fine edges that you get from the OnePlus 6 when it has good lighting — the GS9+ is just amazing at night, and the OnePlus 6 doesn’t match it. The OnePlus 6’s camera is within a stone’s throw of the Galaxy S9+, and that’s darn impressive when you look at the $300+ price difference between these phones. If you buy a OnePlus 6, you have no reason to be disappointed by the camera — it can take fantastic photos in a variety of situations. But if you want the absolute best camera, the Galaxy S9+ is the one to get out of these two choices.